The prophet Jeremiah was alive during a great turning point for Judah and Jerusalem: The end of the 7th Century BC into the beginning of the 6th. These roughly 80 years saw the collapse of the Assyrian Empire, the rise of the Neo-Babylonian Empire and ultimately the fall of the Kingdom of Judah with its prized Jerusalem Temple. The prophet Jeremiah was alive during a great turning point for Judah and Jerusalem: The end of the 7th Century BC into the beginning of the 6th. These roughly 80 years saw the collapse of the Assyrian Empire, the rise of the Neo-Babylonian Empire and ultimately the fall of the Kingdom of Judah with its prized Jerusalem Temple. Study along with Corie Bobechko as she navigates the pages of Jeremiah’s prophecies, explaining crucial history that underpins the ancient text. Join in a round table discussion with the cast of Quick Study as they work out Scriptural meanings and explore Biblical symbolism while attempting to keep Jeremiah the man in focus. 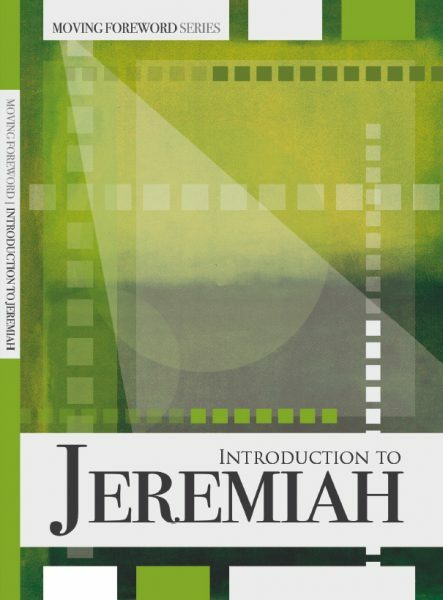 Introduction to Jeremiah will prepare the viewer for a successful understanding of this transitional Biblical book.